Operating HandBrake to rip DVD, you may be bothered by the head-scratching error message - "No Valid Source Found" in Handbrake. When facing with such an intractable problem, you're probably out of your wits to figure out the exact reasons and solutions. The followings will aid you to analyze and tackle HandBrake No Valid Source Found error. There possibly exist scores of reasons for HandBrake error of No Valid Source Found, and it seems unrealistic to list out the entirety. Hence, here recite some common and typical reasons and corresponding solutions for you. This problem may be caused by the inserted DVD disc with some physical scratches or damages. Or the DVD source may be copyright protected DVD so as not to be removed by HandBrake unless certain third-party software is additionally installed. A simple way to deal with this Handbrake error is to check the DVD disc to see if there exist cracks and blemishes on the DVD disc. If the DVD source is sound, then maybe you should download and install a practical third-party helper like VLC to handle this case. Free download Handbrake alternative to solve No Valid Source Found error. 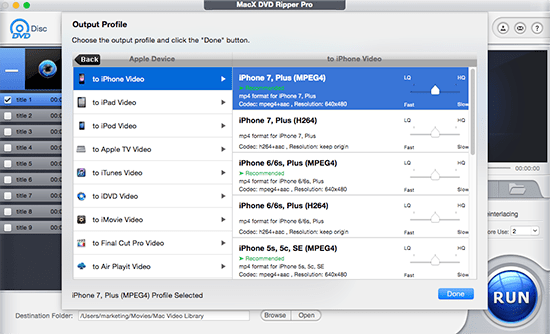 Easy rip copy protected DVDs to AVI, MP4, MOV, WMV, etc on Mac and Win with right title selected. Question 2: I try to rip/copy some new movies on DVD. The source will scan randomly each of the 99 titles on the DVD but when it is done only 4 or 5 are there as an option to rip, which are actually just the previews. I need title 60 but when I tell it to scan source (title specific), it shows "No Valid Source Found". The reason for this case maybe concerns the latest version VLC player, which may assists you to figure out the main title number, but can't work as long as VLC 2.0 or higher version. The solution to Handbrake invalid source is to make sure the VLC player is the older version and installed properly. Necessary to mention, VLC player is required to match with your HandBrake, namely 32 bit VLC for 32 bit HandBrake, and 64 bit VLC player for 64 bit HandBrake. The cause of no valid source on Handbrake may rest with MKV files since HandBrake even the latest version 1.0.7 can't cope with MKV problem. Thus, on the subject of MKV file source with tons of subtitle tracks, you must use MKV Merge to remux the video with only the subtitle tracks needed. Once done, open the new source video in HandBrake. Or just try to find out a functional DVD ripper for Mac for instead. 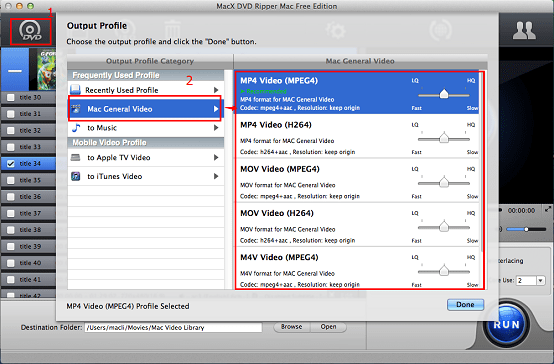 In case all the solutions provided above are invalid to you on Mac OS, it's advisable to consider the best HandBrake alternative known as MacX DVD Ripper Mac Free Edition, which can bypass HandBrake No Valid Source Found trouble with no sweat and is capable of flawlessly ripping DVD to MP4, M4V, MOV, MP3, AAC, AC3 on Mac OS X without any hassle. A second compelling merit is its powerful knack of converting DVD to iPhone, iPad, iPod, Apple TV, iTunes, iMovie, Android compatible videos. More stunningly, this Handbrake alternative delivers superb performance to remove all DVD copy protections, like CSS, region code, Sony ARccOS, UOPs, RCE, Disney X-project protection, etc. on its own. Apart from HandBrake problem of No Valid Source Found, supposing during the process of utilizing HandBrake on Mac, you encounter other troubles, "No Titles Found", conversion stop unexpectedly, video/audio out of sync problem, crash before finishing, Handbrake failed to skip bad sector, DVD read error, to name a few. Don't worry! Below is a favored high quality DVD ripper to remove the dark clouds over your head. MacX DVD Ripper Pro- the second-to-none versatile DVD ripper to rip any DVD (even HandBrake copy-protected DVD with CSS, region code, RCE, UOPs, Sony ARccOS and so on) to almost all mainstream videos like DVD to MKV, MOV, MP4, AVI, FLV, WMV, SWF, VOB, 3GP, AAC, MP3, iPhone Ringtone, etc. Moreover, it is well-designed to convert DVD to prevailing portable devices like DVD to iPad (mini 4/Air 2) , iPhone 7/7 Plus/6s/5S/C/5, Android ( Samsung Galaxy S6 (Edge)/S5/Note 4, Sony Xperia Z4, HTC One M8), Sony device (PS3, PSP), Microsoft device (Surface Pro 3) and more with 36X faster speed and zero quality loss in a stable and worry-free DVD conversion procedure for Mac users. Note: When you finish the task of DVD conversion, in fact, you can use MacX MediaTrans to move videos from computer to mobile devices for playback on the move. In addition to video transfer, this iPhone file transfer also provides you the simplest solution to manage files on iPhone iPad iPod including photos, music, ebooks, voice and ringtone. The HandBrake not showing all titles error is one that commonly occurs when recognizing commercial DVDs. Consequently, users can't rip all sections from a DVD. Having HandBrake won't scan DVD problem? You may have Handbrake stuck scanning, handbrake won't scan all titles, handbrake scanning source DVD takes forever... All of those Handbrake not scanning problems are solved here!